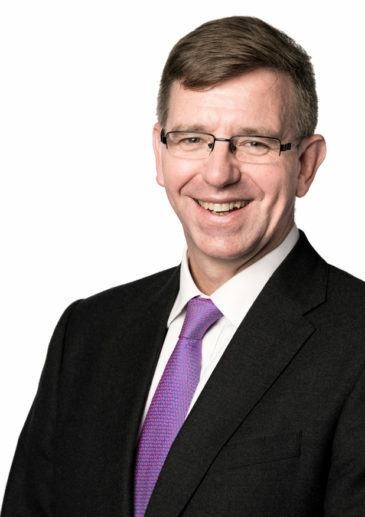 James McKinnell has been a partner of Bowmans since 1998. He has litigated in a wide range of disputes in the High Court and the Supreme Court of Appeal, and in various arbitral tribunals. He specialises in commercial litigation, financial services and tax litigation, restructuring, and has also litigated oil and gas disputes. In addition to his technical legal skills, James’s key strength is his ability to leverage his experience across various commercial law disciplines to understand risk and provide strategic dispute advice, often at the pre-dispute stage. He also has considerable experience of complex legal and financial structures and transactions, and of disputes which have arisen in them and/ or in order to restructure them. He holds B.Bus.Sci, LLB and LLM (Commercial Law) degrees from the University of Cape Town and a Certificate in Investment Analysis and Portfolio Management from the University of South Africa. • Ranked as recommended lawyer for dispute resolution by The Legal 500 EMEA in 2016 and 2015. • Ranked as best lawyer for litigation by Best Lawyer 2017 and 2015.